This year I found a great number of beautiful places close to home. 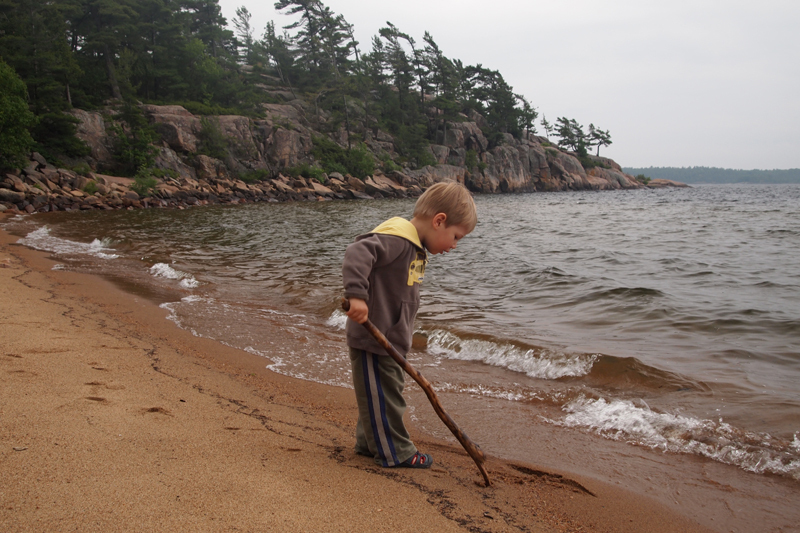 I discovered provincial parks that I had previously disregarded in favour of portage trips in Algonquin and Killarney. 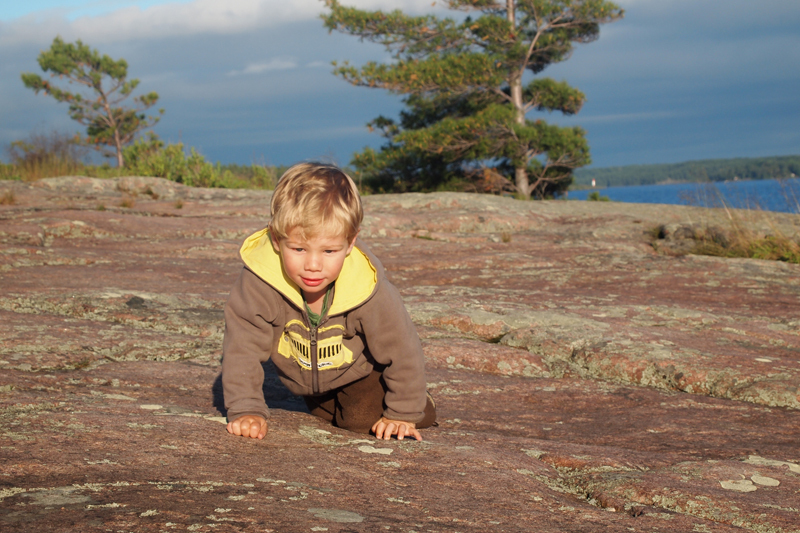 I got to absorb Ontario’s lakes and the Canadian shield in the Tobermory area, Pinery, Killbear, Presquile Provincial parks through my son’s eyes. 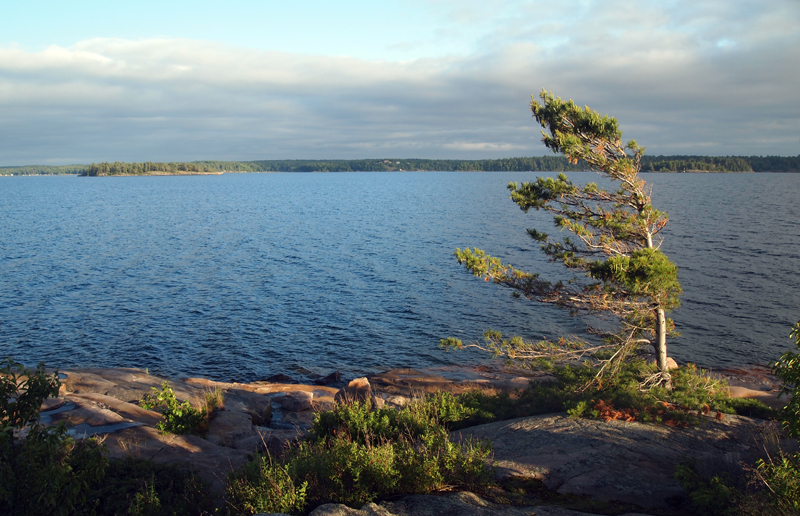 Kilbear Provincial Park surprised me with the pink colored granite of the Canadian Shield and the “Group of Seven”pines perched up on top, reminding me of Killarney. It has mixed hardwood and softwood forests and lots of wildlife. Every morning we were greeted by at least one deer on our campsite. The park provides habitat for the threatened eastern Massasauga Rattlesnake, Ontario’s only venomous snake. In fact there were many “Please Brake for Snakes” signs along the park’s roadways. 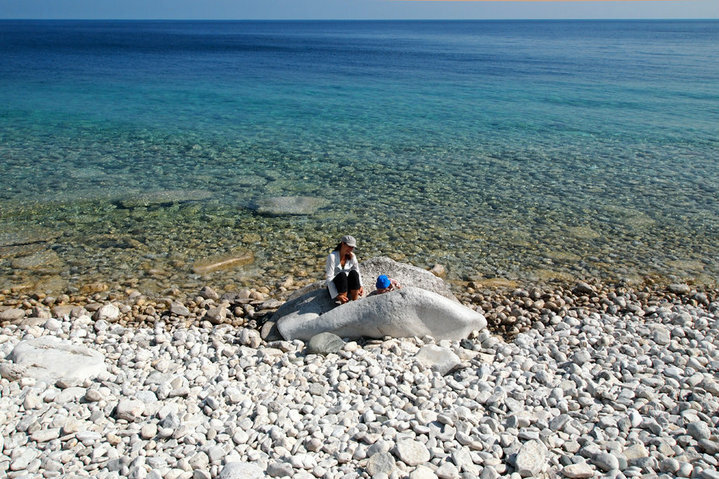 Bruce Peninsula Provincial park, in the heart of a World Biosphere Reserve, is a place of global significance. The rare limestone barrens and massive, rugged cliffs, inhabited by thousand year old cedar trees, overhang the crystal clear waters of Georgian Bay. 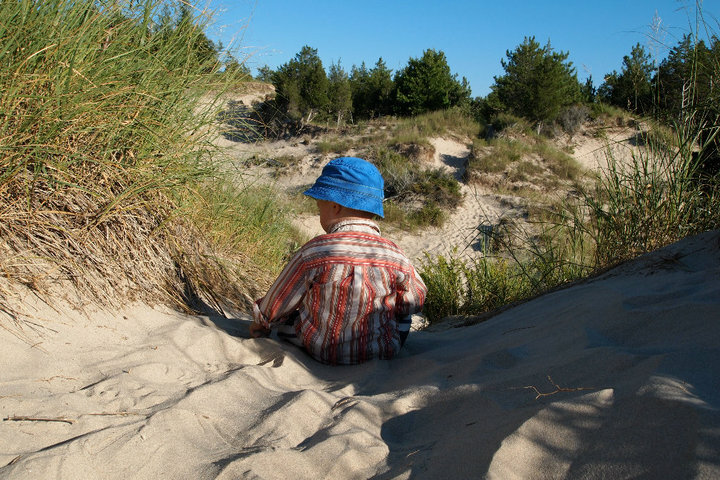 Pinary Provincial Park is home to the unique habitat of freshwater coastal dunes which we had to climb over to reach the shores of Lake Huron. The park also protects almost 50% of the remaining Oak Savanna in the world. Presqu’ile Provincial Park or literally “almost island” was named by Samuel De Champlain on his second expedition. The park area, or tombolo, was formed when a limestone island was connected to the mainland by a sand spit. 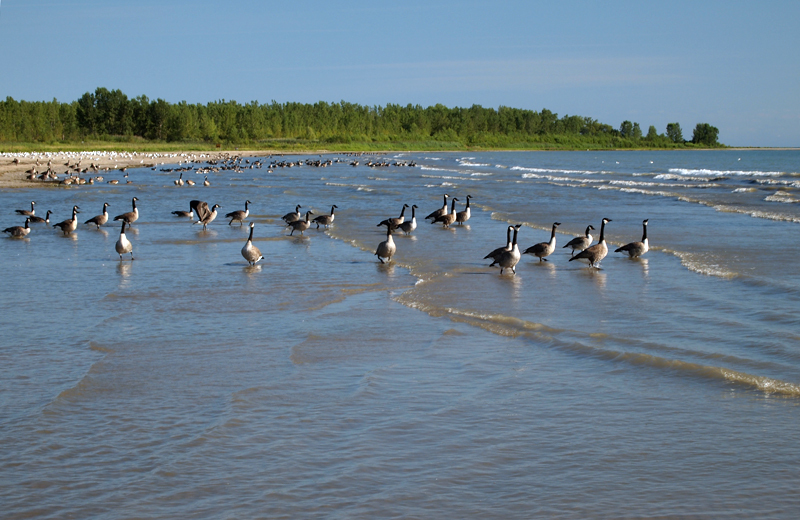 The park’s location on Lake Ontario makes it a perfect stop over for migrating birds along the Michigan Flyway.